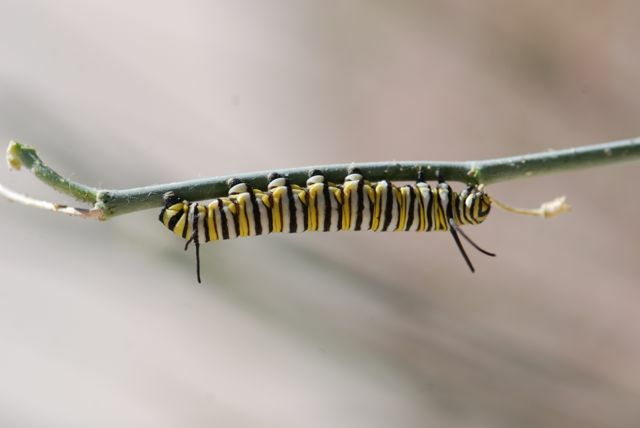 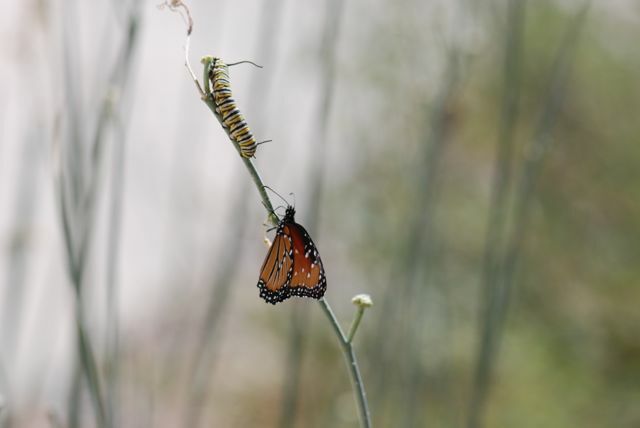 Often when a caterpillar is ready to pupate, it crawls away from the host plant where it was feeding. 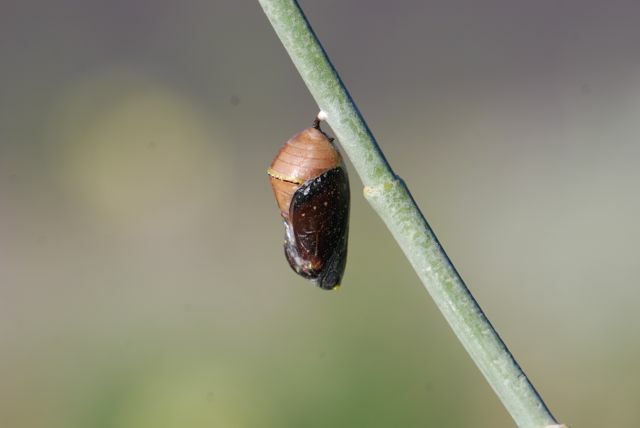 That hiding behavior may make finding the chrysalis and adult butterfly more difficult. 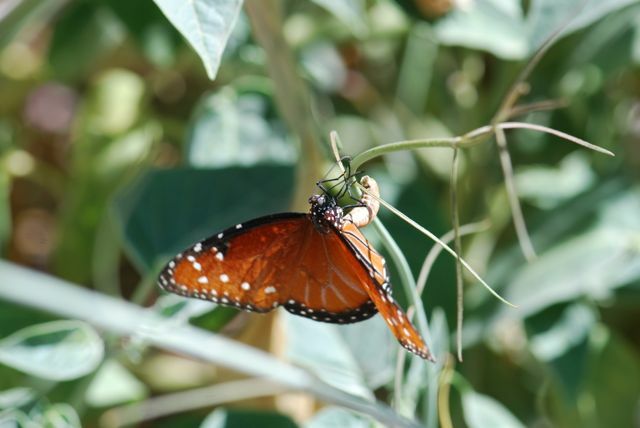 In this case, however, the queen caterpillar formed a chrysalis right on the plant it was feeding on, a rush milkweed. 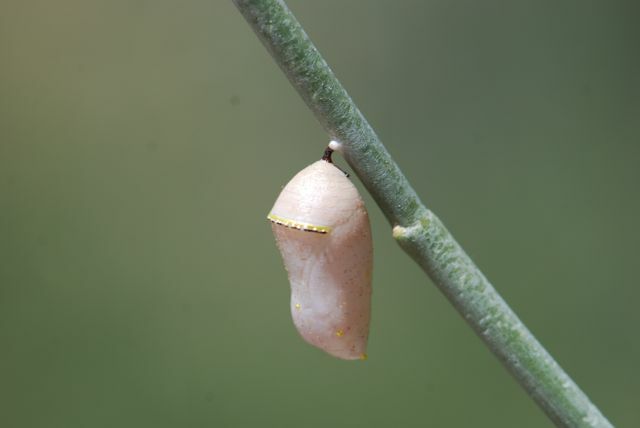 Do you see the remains of the chrysalis? 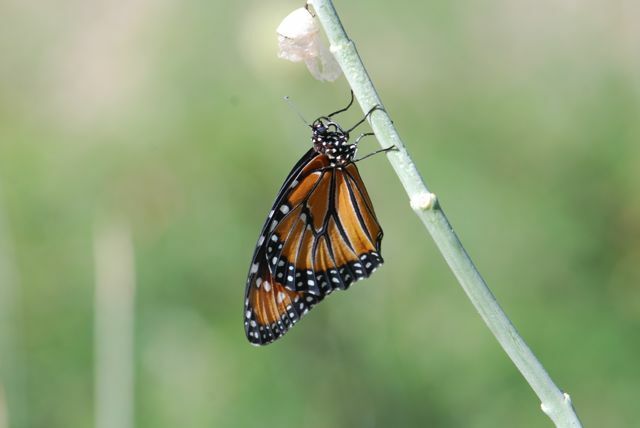 There's a freshly-emerged queen butterfly right in the open for all to see. 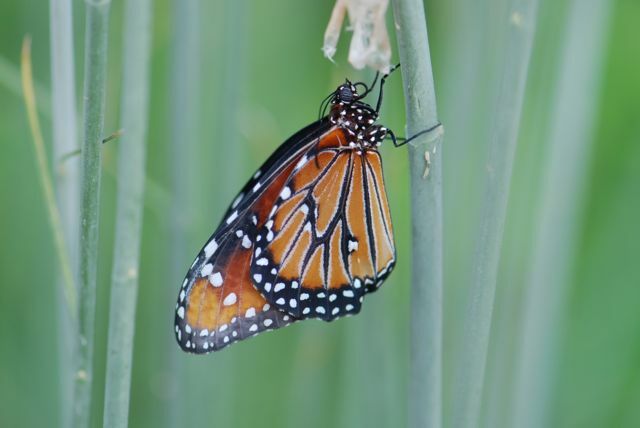 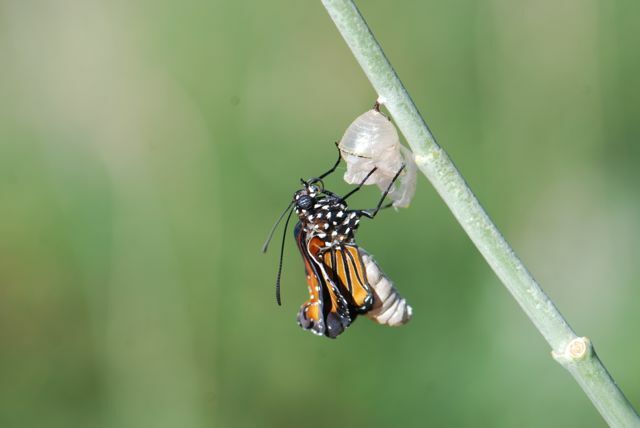 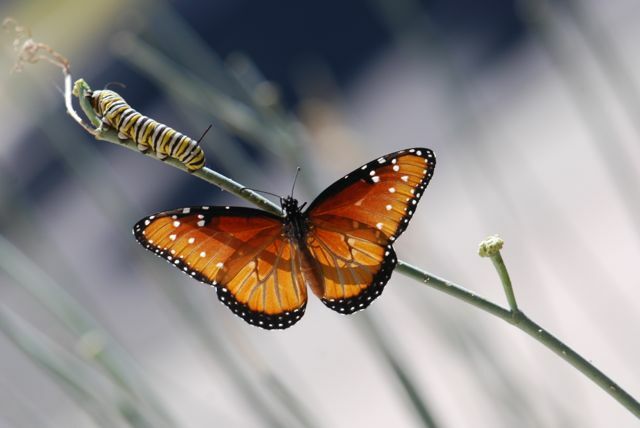 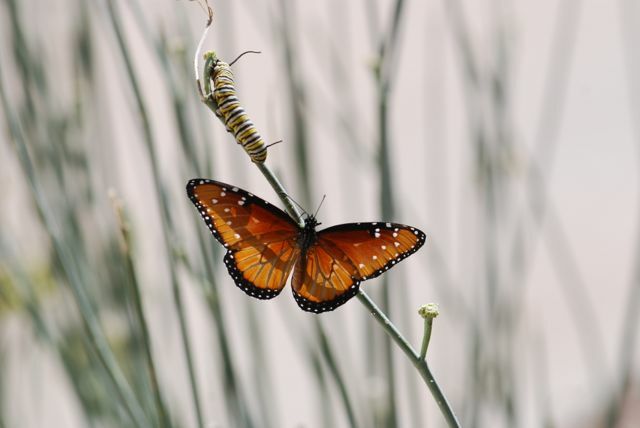 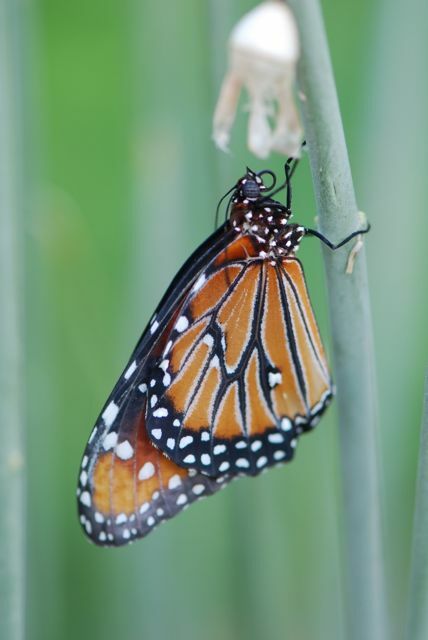 Have you ever found a newly-emerged butterfly drying its wings?